Feel the future of design and training. Leading head-mounted displays deliver immersive visuals and audio, but they’re packaged with plastic controllers that are designed for gaming. Professional VR users need to use their hands naturally and feel what they see. HaptX Gloves bring your real hands into the virtual environment and enable a new suite of enterprise VR solutions. Today, designers and engineers can’t interact with a product until after they build a physical prototype. With HaptX Gloves, teams can touch and interact with 3D models throughout the product design process. HaptX Gloves enable teams to prototype swiftly in VR, experiencing each virtual design with unprecedented realism. This combines the speed and flexibility of CAD software with the value of physical interaction and testing, enabling a more efficient VR workflow and reducing time to market. Review and update design prototypes in VR to make real-time product iterations. Curtail spending on expensive physical prototypes by using bits instead of atoms. Conduct user testing earlier in design process to make better design decisions, faster. Auto manufacturers know that designing a new car model is a long, expensive process. It takes years between the first 3D design and sitting in the driver’s seat with your hands behind the wheel. HaptX Gloves let you feel your design before investing time and money in physical prototypes. Designers can work in VR, editing component size, position, and other properties in real time. Stakeholders can review and collaborate on designs from around the world. This accelerates the evaluation and testing of new car designs. 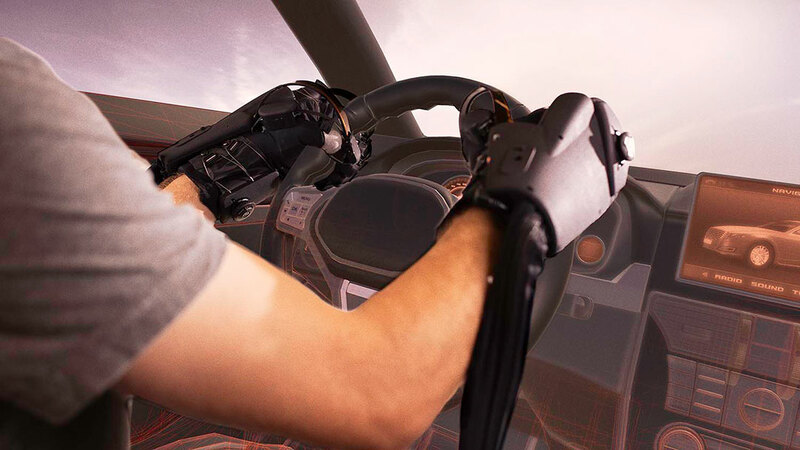 With VR and HaptX Gloves, automakers make better decisions faster. 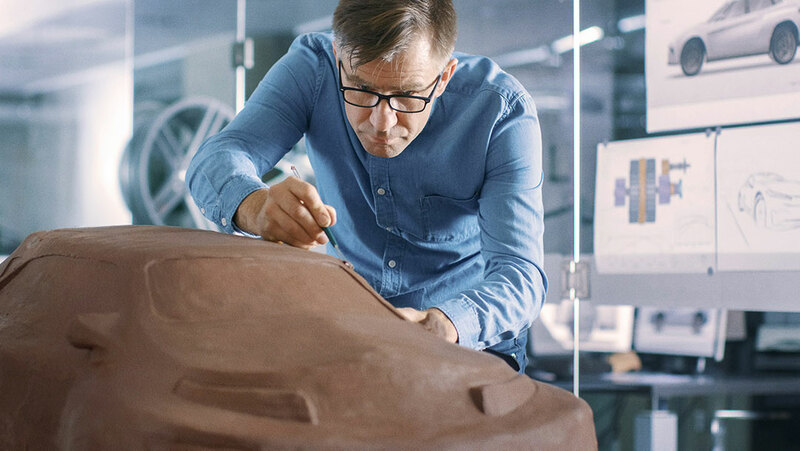 The automotive industry relies heavily on physical prototyping, which includes sculpting and milling models from clay. These physical prototypes are a huge factor in driving up the cost and expense of designing a new vehicle, as iteration cycles can take months. 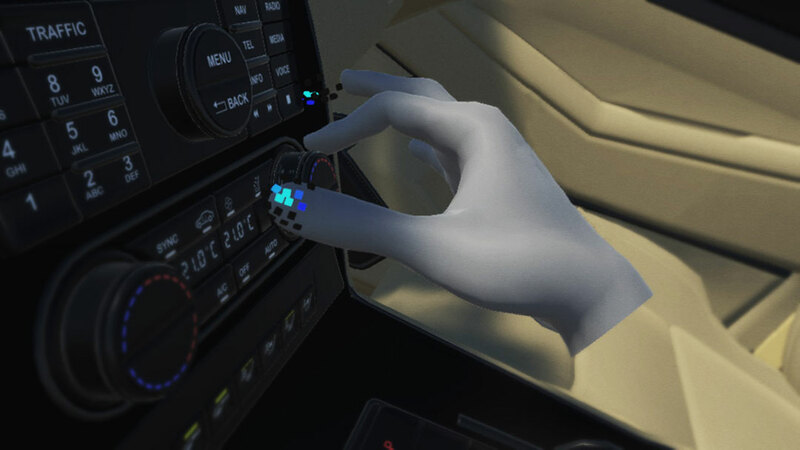 With HaptX Gloves, auto makers can feel their designs as they prototype, with interactions as precise as adjusting a dial. Teams can collect feedback earlier in the design process, and implement changes in real-time. Iteration cycles that once took months now take minutes. Make your virtual training feel more like live training. Training providers face a trade-off between virtual and live training. Virtual training is inexpensive and repeatable, but neither as realistic nor as effective as live training. Live training may be immersive and effective, but exercises can be costly to simulate and difficult to repeat. 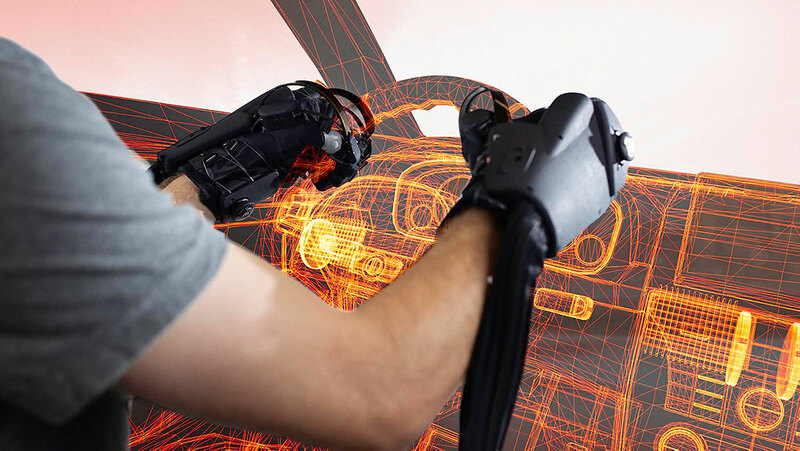 Training in VR with HaptX Gloves gives the best of both worlds: the immersiveness and effectiveness of live training, with the low cost and repeatability of virtual training. Because changing the training scenario is as simple as launching new software, HaptX Gloves and a VR headset make the ultimate training platform. A single system can run countless simulations. Repeat simulations to promote accurate skills learning and avoid negative training. Avoid danger posed by live training for high-consequence scenarios. Experience realistic interactions and use your hands naturally to build real muscle memory. 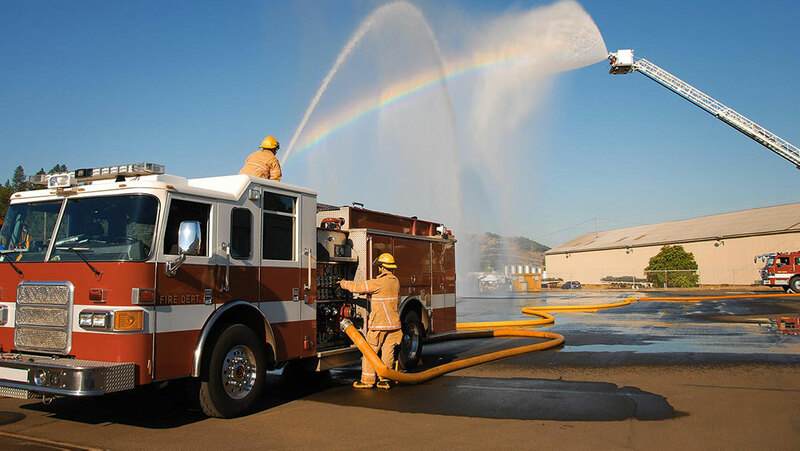 Our team worked with San Luis Obispo’s fire department to build a pump panel training simulator. In a live training scenario, pump panel training can waste tens of thousands of gallons of water and requires use of scarce resources. 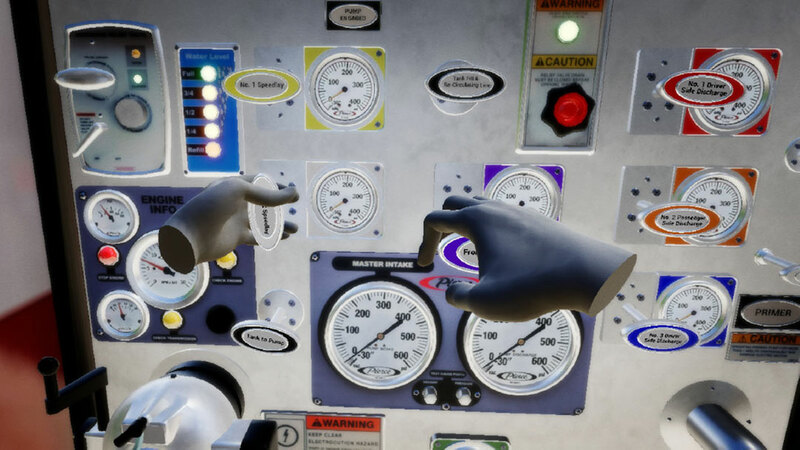 With HaptX Gloves, engineers interact naturally with a virtual fire engine. As users grip virtual objects, our haptic technology presses against their skin, simulating  realistic touch sensation and building real muscle memory. For testing, evaluation, and scenario training, instructors can change the operating conditions in real-time. For instance, they can drop hydrant pressure or rupture a hose with the press of a button… all without wasting a drop of water. A live training exercise for pump operation requires many people and valuable equipment. This can increase response time should a real emergency arise during training. Due to the expense and complexity of this exercise, firefighters may not train as often as needed. HaptX’s pump operation tutorial trains users to operate a virtual fire engine. 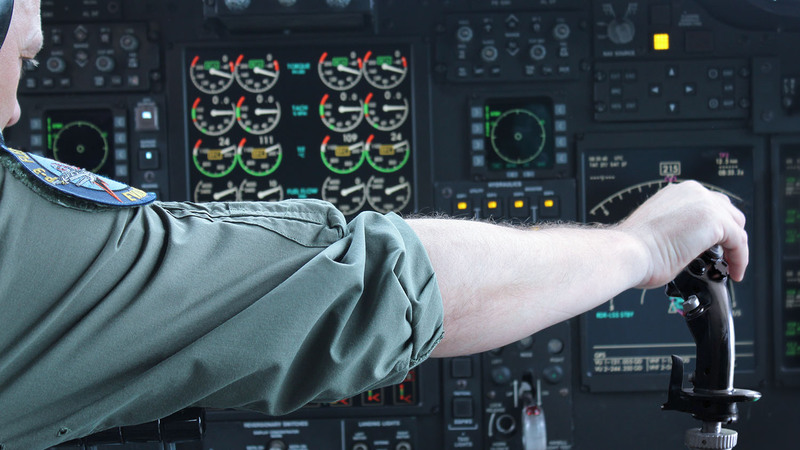 Trainees can adjust knobs, push buttons, turn handles as they would in the real world. The module is self-directed, so users can repeat training as much as they’d like. 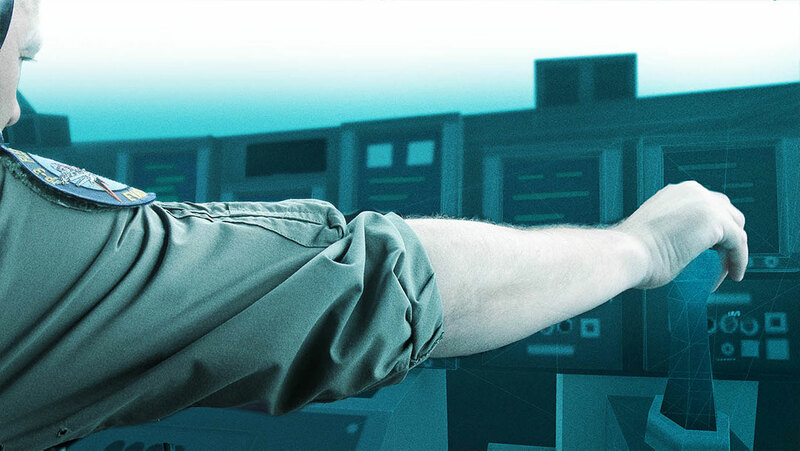 We take a radically different approach to haptics. Learn how HaptX Gloves simulate realistic touch.